Something I have been focusing on a lot this week is making better use of my time. I mentioned a few days ago that I feel as if I have a lot of time, but don’t get as much accomplished as I would like. After hashing it all out with Colin and getting my frustrations out I realized that I’m just not being as productive as I could be. For the most part, we have a weekly routine so I know when I will be able to get things accomplished and when my attention will be focused elsewhere. For example: 7am-8am is all about getting Brice fed and then pinned down and dressed for school (there is sometimes wrestling involved) so anytime before 7am (maybe earlier than that depending on when Brice wakes up) is free game for me to get whatever done that I feel I need to get done. 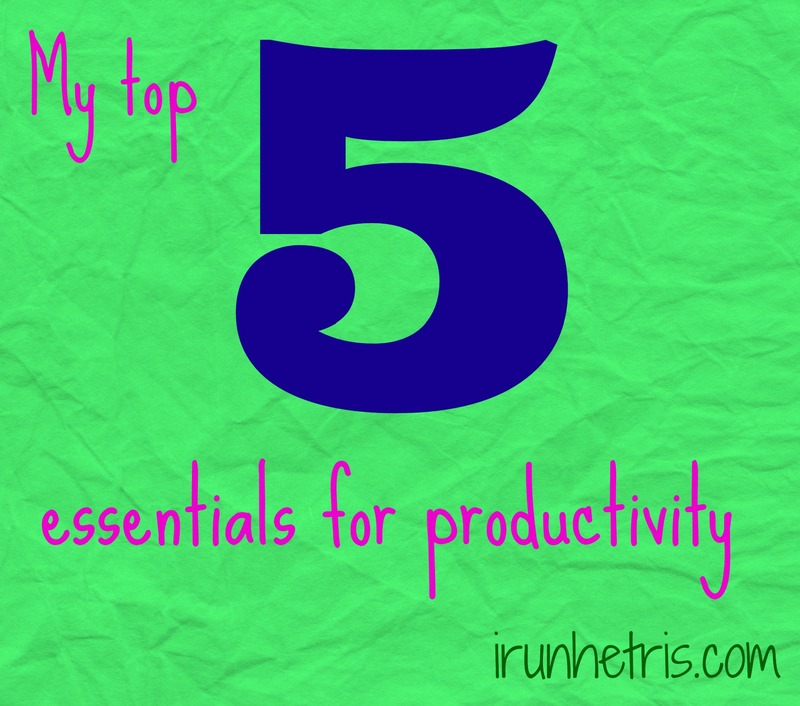 Kabbage, a company who provides small business loans got me thinking about my 5 essentials for productivity. Honestly, a lot of times I ignore emails like these because they never relate to me. Like that time someone wanted to me write about exercises inspired by a dog’s movement… ANYWHO this word productivity has been sticking in my head for awhile. After I checked out Kabbage and saw they were actually a very legit company who helps entrepreneurs grow their company, and since I someday aspire to own my own small business, I wanted to team up with them to share (more for my sake than yours) my top 5 tips for productivity. 1. Let’s just go ahead and get the obvious out of the way: COFFEE. A good cup of coffee helps me get started with my day. My brain needs caffeine like a car needs gasoline, it’s just not going to get going without it. I physically can get going, but something about that caffeine clears my mind and lets me get to work. Most days I only drink one cup of coffee but sometimes that one cup is a Grande Vanilla Latte with an extra shot of espresso. 2. A To Do list. Whether I am at home wanting to get severals chores done or sitting in my office with seven stacks of papers on my desk, I tend to start feeling overwhelmed. A To Do list is my go to way of getting everything I need/want to do organized into a visible way. By writing it all out and prioritizing what needs to get done is my way of taking a step back and knowing what to tackle and when. This allows me to take what seems like a million tasks and seeing them in a more achievable manner. Plus, there are very few things that feel as good as drawing a big red line through an accomplished task! 3. Do one task at a time. I have a VERY bad habit of trying to multitask. While I’m doing the dishes I realize that several of Brice’s toys are sitting out, so I stop washing dishes to go put a few of them away. Or at work I’m trying to finish up some financial statements when I get an e-mail asking me to look up an account balance so I think okay, that will be quick to do, so let me stop what I’m doing to do that. That is the wrong way to go about doing it. If you can just focus on one individual task at a time you will get your list all crossed off faster than you would if you were bouncing from chore to chore. Having a designated “work area” helps when this when I’m at home. If I’m working on something, I have everything that I need, and nothing to distract me as I would if I were trying to work in front of the tv or at the kitchen table. 4. Taking breaks. If I feel like I’m losing my focus and it is taking me 10 minutes to do something that should only take 5, then I know it is time for a break. When I was in college and grad school I was never good at those massive hours long study sessions. I needed to study for a little while, then back away from my work and take a break. The same applies to me now at work or even at home when I’m trying to tackle 5 loads of laundry. After a lot of repetition I need a little break to clear my mind, and when I come back to the task at hand I know I will be better focused and ready to work. Plus sitting at your desk for hours on end is horrible for you and you can read a post I wrote about that here! 5. Music. I love music. I need it when I’m running and I love to listen to it throughout the day, too. At day at work today and even while I was writing this post I had music playing in the background. For me, it drowns out any little noises that may distract me and keeps my brain from going into overdrive with a million useless thoughts. I normally just turn on iTunes radio and let it play. I save the fast paced pop music for my runs (and dancing around the house while cleaning!) so while I work I stick with artists like OAR, Jack Johnson, and other more mellow steady tunes. Maybe it’s just a placebo effect but I really feel like my productivity increases when I turn on music. Everyone works in different ways, but these 5 things are what work for me and get me being productive instead of procrastinating. I think productivity is going to be my word for the month. If I make the most of my time throughout the day, it will allow me to kick back and relax every now and then because I will get all of my ‘required’ things done! Whether it’s at home, at work, or out there on the road I want to be as productive as possible so that I can see the results I’m wanting! What are you tips for being productive? What gets you motivated and focused when it comes time to get work done? haha only you can handle all that at once! I’ve got a pretty bad one track mind! I was a little scared to click on this post based on the title. Procrastination is my friend. I always get things done in time. I just need a little urgency as motivation haha. But I agree with all of your tips! Except for coffee. Maybe that’s my problem? Might have to start drinking it. Great list! 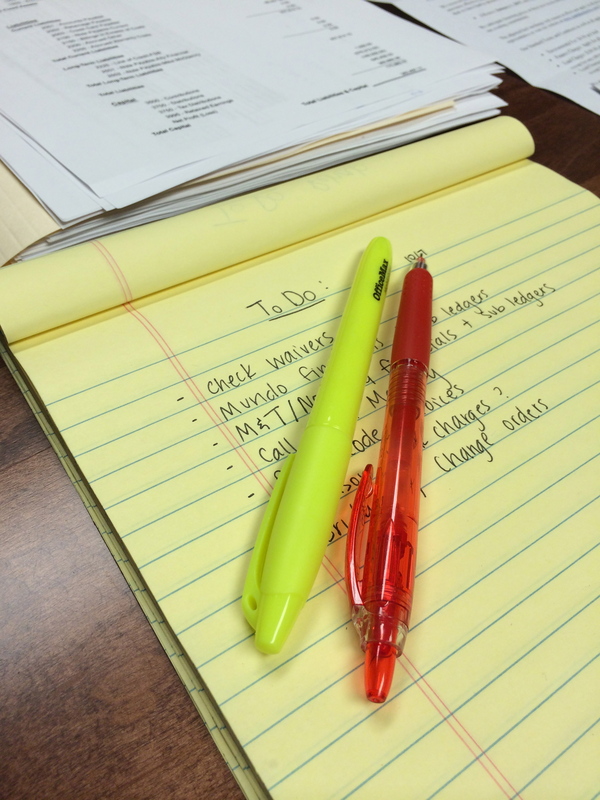 The most important thing for me is a to do list and then prioritize. Ah checking off items feels so good!